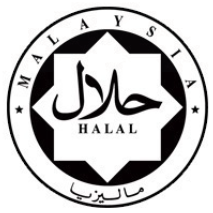 All meat and meat based products to be exported to Malaysia must be halal. For the purpose of the importation approval, JAKIM and Department of Veterinary Services Malaysia (DVS) will conduct inspection/audit to the abattoirs and processing plants. JAKIM will inspect in terms of halal aspect and DVS will inspect in terms of animal health and food safety. Upon approval of both departments, the abattoirs and processing plants will be listed in the Malaysian approved plants list. The halal certificate issued by the recognised certification body will only be valid upon approval from the Malaysian authority. For the purpose of auditing, the requirement of Malaysian Standard, Halal Food – Production, Preparation, Handling And Storage – General Guidelines (MS 1500:2009) and Malaysian Protocol for The Halal Meat Production will be used. Therefore the plants must comply with these standard and protocol. Please click here to download the Recognized Foreign Halal Certification Body List, or refer to Halal website (www.halal.gov.my) for further information. Pursuant to the Food Hygiene Regulations 2009, it is mandatory for each owner and occupier of food manufacturing premises to prepare and establish a Food Safety Assurance Programme. MeSTI, namely the Food Safety Assurance Programme Certification is rebranded to replace the 1Malaysia Food Safety Scheme (SK1M). It is a system of organised practices that is documented and gives the assurance that the consumption of any specific types of foods will not be harmful to the consumers.